SEPP Blatter was last night facing further calls to stand down as president of Fifa after a Swiss court released documents that revealed senior figures at the world governing body were aware of bribes paid to its former president, Joao Havelange. Havelange, now 96, and Ricardo Teixeira, until recently in charge of the 2014 World Cup in Brazil, were both named as having accepted kickbacks worth tens of millions of pounds by a Swiss court. The two Brazilians - Teixeira is Havelange's son-in-law - have long been suspected of involvement in corrupt activities during their time on the Executive Committee that oversees football's global governing body, but the scale of the monies they received over an eight-year period only became clear yesterday. As did the fact that senior members of Fifa's hierarchy were aware of at least one payment but did nothing. A Swiss court's ruling on the collapse of ISL, once Fifa's marketing company, was finally published after attempts to block it were overturned. It detailed payments of £8.4m between 1992 and 1997 to Teixeira. Havelange received around £1m in 1997. There were also payments of around £14m "attributed" to accounts connected to the two between 1992 and 2000. The document, drawn up by Swiss prosecutors investigating the collapse of ISL, stated that Fifa is "accused of having a deficient organisation". It also declared that "the finding that Fifa had knowledge of the bribery payments to persons within its organs is not questioned." Teixeira resigned as head of Brazilian football and gave up his Ex-co seat for "health and personal" reasons earlier this year. Blatter had promised to release the document last October as part of attempts to clean up Fifa following last year's succession of scandals. Its publication was delayed until yesterday by legal efforts by unknown parties to have the release blocked. Blatter has always denied any wrongdoing or involvement with the ISL scandal. Last night Damian Collins, the Conservative MP and a member of a European wide group of politicians pushing for reform within Fifa, said on Twitter: "Fifa sponsors, sports leaders and politicians worldwide must call for change and Blatter out. 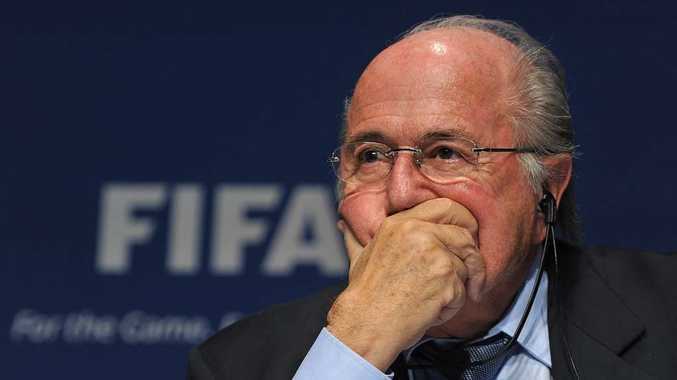 If Blatter knew of bribes paid by ISL to Havelange and Teixeira, and agreed to a cover-up, he must resign." A statement from Fifa said: "Fifa is pleased that the ISL non-prosecution order can now be made public."